SEOUL, Sept. 5 (Yonhap) — A famed South Korean novelist was found dead in his residence in central Seoul on Tuesday in what appears to be a suicide, police said. 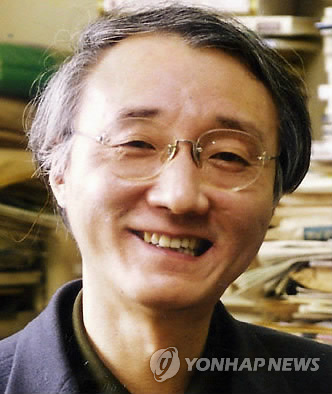 Ma Kwang-soo, a former professor of Korean literature at Yonsei University, was discovered by his family in his apartment in Yongsan at around 1:50 p.m., the police said. He was 66. They said they are investigating his death as a possible suicide since he appears to have hanged himself. They found a will, which he presumably wrote some time last year, detailing his wishes for his inheritance and the handling of his body, the police said. Ma is known for his sexually explicit novels including “Happy Sara,” for which he served an eight-month prison term for obscenity in late 1990s. He was released in 1998 on a pardon and reinstated as professor of Korean literature, but the conviction affected him and his career ever since, according to sources familiar with the matter. He barely communicated with his fellow professors at the university and apparently told his close friends that he felt “depressed and hurt.” He was reportedly taking medication for the depression. It’s very sad that this person decided to give up on life. I work at the best-essay-writing.services and if I ever saw any signs in one of my colleagues of suicide, I would stop them immediately. Suicide is not the way!